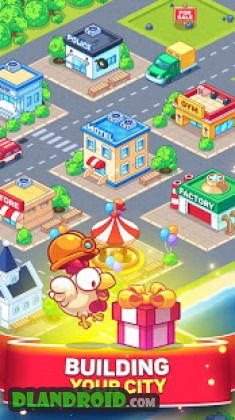 Idle Prison Tycoon: Gold Miner Clicker Game is a Simulation android game made by iKame Games that you can install on your android devices an enjoy ! Idle Prison Tycoon – Gold Miner Clicker Game , the very first Prison – Mine system management game in the world! Idle Prison Tycoon – Gold Miner Clicker Game is a simulation game mix with clicker games. Become an idle tycoon, build your own mining business and make your investors proud! Idle Prison Tycoon – Gold Miner Clicker Game is a game simulating a idle business. The player plays with the role of a mine tycoon, build gold mine and invest in gold mining. Gold miners working here is prisoner. You run the idle business by building mining prisons in order to Crystal Mine, Diamond Mine and Gold Mine… The resource will be exchanged into money. The money you making will be used to further expand your mine and upgrade other mining activities and continue making massive idle profit. Idle Prison Tycoon – Gold Miner Clicker Game – the objective of the idle game is building more mining levels, hiring warden to manage gold miner. Other than that, keep optimising your mining stat, fight the monster and at last, use your giant profit to build idle city. With idle simulator game , when the mining process starting to get really fast and highly exploited, the prisoners will get unsatisfied and have tendency to go on rampage. Therefore, the mine need the warden to manage the prison, they are arranged in each floor in order to control the prisoners and pushing to gold mining. Idle Prison Tycoon – Gold Miner Clicker Game, you will have to pay for the wardens and prisoners an amount of gold and at the same time, the prisoners will go mad, resist, run away if they feel they are exploited by your managing. Gold mine will have several important events including monster will appear from underground and revolution could also occur. If you finish these events are resolved perfectly, your idle manager will receives more experience and get promoted in order to manage the mine better. In addition, you will receive a large amount of gold to further enhance your gold mine. ★ Click or idle the mine to earn coins ! Get idle coins, even when you are offline/working/studying/eating/sleeping… All the time! 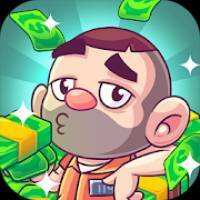 ★ Become a prison tycoon – gold miner tycoon, idle simulator game ! Just by tapping, clicking and digging! ★ Play the idle tycoon game your way, increase the Mine’s size or focus on first few floors, you decide! ★ Idle Prison Tycoon – Gold Miner Clicker Game collect and Upgrade your Managers, each with unique looks and stats, ready for action! ★ Idle Prison Tycoon – Gold Miner Clicker Game reset the prison by release the prisoners, claim permanent upgrades and build up your City! ★ Idle simulator game many mines still waiting for you to renovate, each mine comes with different design and new resources to collect. ★ Idle simulator game , no internet connection needed, play the game on the go. 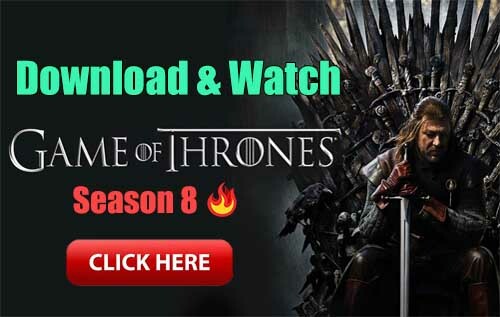 Idle Games – You will be the Boss of the Prison, Dig deeper and upgrade your way to maximize the incomes while serve prisoners needs. Keeping them happy is very important after all, you will want to early release them as much as you can and get Freedom Medals. Use them to Upgrade your city of your Dream! 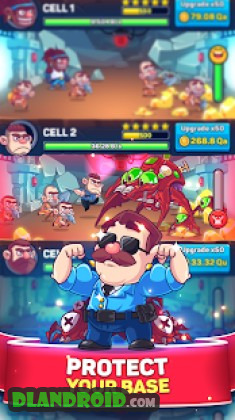 With idle Prison Tycoon – Gold Miner Clicker Game, do not forget one of the interesting things of the game is the fight against the monsters from the ground. As they appear, they combine the power of the prisoner managers and click the screen so they can quickly destroy them, protecting their gold mines. Remember, click and click a lot, the spirit of clicker games. Idle Business, prison tycoon is free to play but offers some game items for purchase with real money.